Created and managed the Owner’s project development, retail delivery and tenant coordination program for the New England’s newest and most unique mixed-use center. 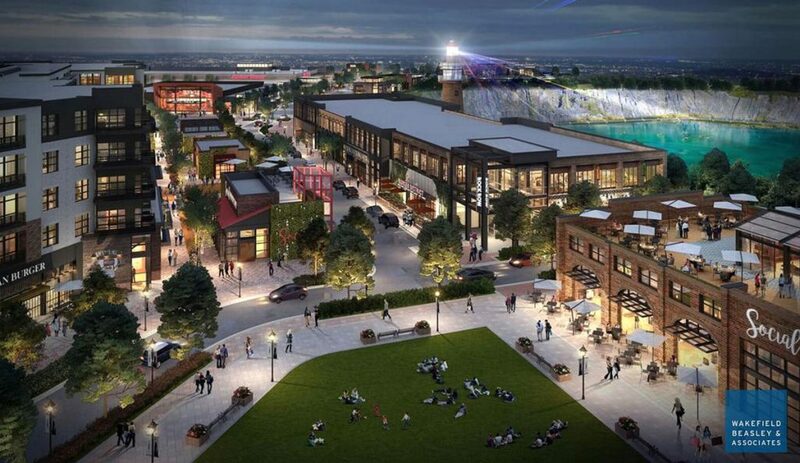 When the opportunity arose for Waterstone Development to create a truly unique entertainment, outdoor, mixed-use center on the site of a former commercial quarry in Portland, ME, they jumped immediately at the opportunity. They then engaged our team to lead the development programming and retail delivery process for the multiple phases of the 500,000 sf center. After leading a customized one-day instructional seminar at our client’s corporate offices in Needham, MA, we established priorities for development programming to align with their vision for the project, the protocols for leasing support, workletter creation, retail delivery, storefront and design review to maximize merchandise mix, user experience and dwell time. With multiple phases for the project that include a new Live Nation concert venue, high-end grocery anchored zone, more 10 separate mixed-use retail and residential buildings, a new light rail and transit center as well as connectivity to multiple hike and bike network trails and a unique quarry entertainment and recreation district, each with their own design and details, we coordinated and worked collaboratively with the design and construction teams of numerous national, regional and pop-up merchants. As Development and Retail Delivery Managers work.shop performed development management, site configuration and use assistance, Digital Design Criteria Manual (DDCM) authoring, Status Plan deployment, leasing support, lease review, lease abstracting, final lease outline document (FLOD) review, design review, plan review, and management of field team tenant coordination to create one of the nation’s premier new mixed-use and entertainment destinations.